It’s taken me a couple of weeks, but it is finally finished. The world’s first Global Cundall Workshop exploring the drivers for Sustainable Buildings in 2020 have been summarised into one report. I have broken the report down into Global, Regional and City results and trends to highlight the difference in voting across the globe. 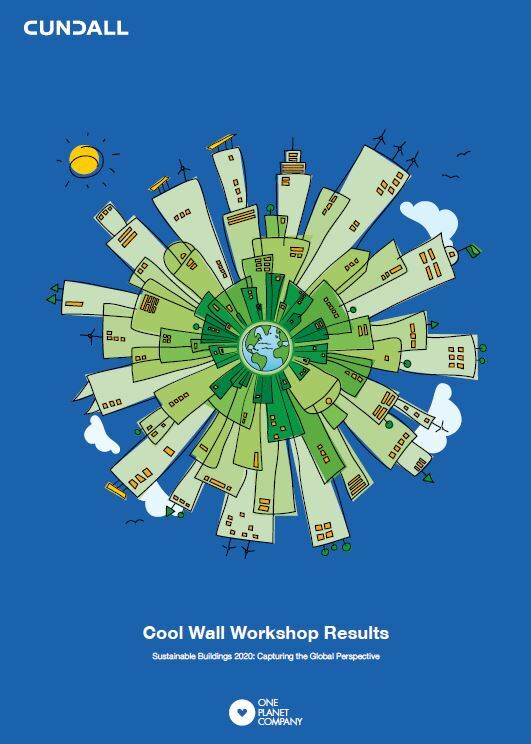 The report outlines the results for each city from the last 10 years, compares those results to the 2020 drivers as voted by the participants and provides some commentary as to where the changes are coming from and what will define the next evolution in Sustainable Buildings. Green Ratings were seen as a driving force of the last 10 years across the globe, coming out in the top 3 drivers in almost every city. But when it came to 2020 Green Ratings slipped a long way down the list, in Australia Green Ratings went from 1st for the last 10 years to 20th for 2020. A few comments made across the globe were that Green Ratings were now easy, business as usual and not driving change. In Australia we are seeing Green Ratings as starting to being adopted by the masses, particularly in the office sector but the question still to be answered is whether our other building types will adopt it in the masses or whether they will bypass Green Ratings. Regulatory Change also suffered a similar fate but not as dramatic, being top 3 in the last 10 years but down to fourth for 2020, held up a lot by the significance of Regulatory Changes in 2020 for the Asia region. In Europe we saw a dramatic shift in the significance in Regulatory Changes perhaps reflective of the current financial position of many of the European governments. The top 3 drivers for 2020 were perhaps reflective of our current focus on operational cost but also a trend towards a recognition of our global impact. Operational Efficiency came out as the number one driver across the globe, recognising that operational cost has been and also will be a driver in how we design buildings. Number two spot went to Healthy Environments, with Asia, Australia and the Middle East seeing it as important but the UK and Europe voting it only 5th, maybe reflective of the higher temperatures, humidities and outdoor air quality particularly in Asia. The number 3 place for significant drivers in Sustainable Buildings 2020 went to Ecological Footprint with comments across the globe that related it to quantifying our total environment impact and also a fascinating trend of how it relates to the impact of our built environment on our global resources. Over the last 10 years I think buildings have focused on the impact of the local environment or resources (except of course for carbon) and it is certainly refreshing and encouraging that some of the comments were about how Ecological Footprint allows us to understand the global impact of the resources being used in the construction and operation of our buildings. Awesome. ← Is sustainable consumption a marketing fib?